Recorded at The Building Site in 1984. Cut at Utopia. Cover photo is of the Spirit Dance of the Mescalero Apaches. Published by Crippled Frog Music through Stillgrove DJM/1985. This L.P. is number 4 in the Temple Records Library Series. "The music was composed to accompany a video made by Derek Jarman. 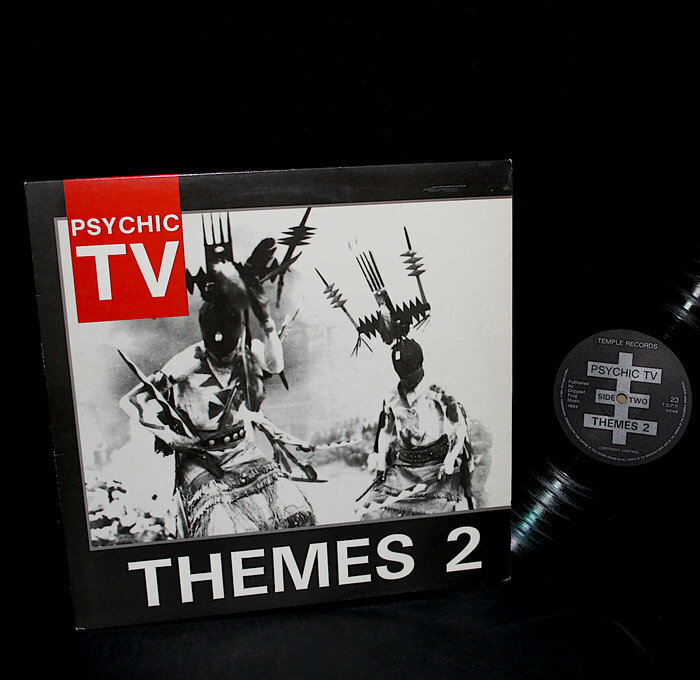 It is a contemporary extension of the themes first utilised on the record Psychick TV Themes Vol. 1 that was released in conjunction with Force The Hand Of Chance (...) The words used on side B of this record are from a language called Enochian which was transmitted to the Elizabethean Magus and Mathematician John Dee through his scryer Edward Kelly. They are the last two words of the "First Enochian Call". Transliterated they are "HOATH IIAIDA" which means "I am a true worshipper of the Highest"..."